A Gripping, Scary Viruscore Tale in Free, Online Novel "Vector"
Want to read a free, serialized novel about the world after a DiY virus apocalypse? 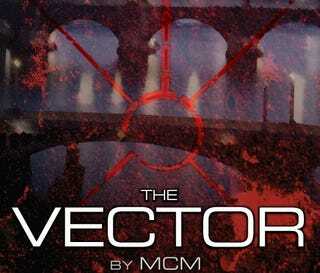 Then look no further than MCM's new online novel Vector, which you can download to your smart phone or read this afternoon on your computer. It's the age of the home-made virus, and humanity is dying. It just doesn't know it yet. In Prague, a young woman named Eva returns home to escape the plagues, only to find her mother missing and the police blaming her for the worst outbreaks in recent memory. Events are complicated by the appearance of a Healer - a merciless Chinese agent - sent to neutralize a new strain that may bring Prague to its knees. What this blurb doesn't capture is the creepy, dark feel to the prose in this well-crafted novel. Author MCM is also the creator of cool Canadian kids' show RollBots, coming out this fall. And if you are an anti-authoritarian geek, you may remember his story "The Pig and the Box," which free software crusader Richard Stallman praised as a great way to teach kids about why DRM is bad. You can access Vector here, for computer or phone.